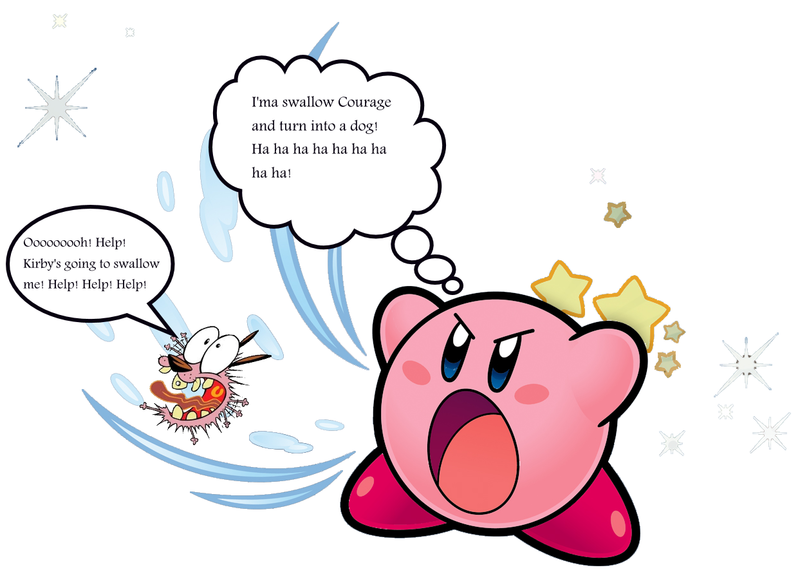 Courage getting swallowed 의해 Kirby. Kirby is going to 제비, 삼키기 Courage. 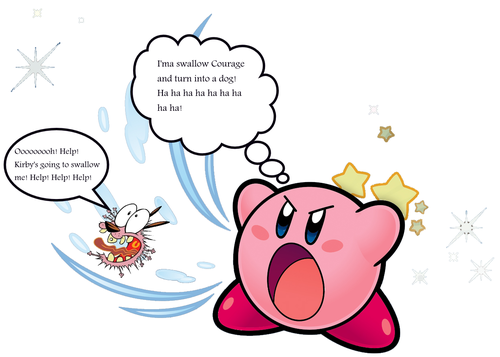 HD Wallpaper and background images in the Courage the Cowardly Dog club tagged: photo kirby vs courage the cowardly talking laughing screaming angry happy crying glad smart swallow swallowing.